Combine high quality skincare and cosmetic grade ingredients with the performance of professional haircare. The result, products that...TREAT & PERFORM. ECRU New York creates hair that compliments the trends and styles of today’s designers and meets the needs of the discerning consumer. As a culture, they’ve learned the difference between everything and something. They’ve learned the less you need, the more you have and that some things have more importance than others. ECRU New York is one of those rare necessary luxuries. Silk proteins are the highest grade protein ingredients that are created from the hydrolysis of silk fibers. They are actually “the inner part” of silk removed during this process. Originally, this ingredient was only used in high-grade skincare, however when applied to hair, silk proteins form a transparent protective film that seals the hair cuticle increasing elasticity, natural shine and further preventing damage to the hair. ECRU New York was created to “TREAT & PERFORM”. Silk proteins are used in many products within the collection because they strengthen and improve the integrity of the hair. If you have any questions or would like more information about the ECRU New York products we carry, please contact WCB Customer Service or your Sales Representative at WCB. ECRU New York Runway Lash - Amplifying MascaraIntense, runway lashes. This unique formula offers fuller lashes, amplified length, lift and curl with Argan Oil to condition and protect. 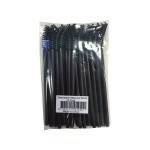 The flat curved brush hugs every lash for a customized lash perfection.Color: Jet BlackFeatures & Benefits: Fuller, intense, longer lashes Smudge, flake and clump free.Usage Instructions: To amplify volume and thi..
ECRU New York Mascara Tester WandsSize: 25 pk..
ECRU New York Velvet Air Lipstick - Barely ThereA velvet lip color that glides on lips leaving an airy, weightless cushion of long lasting color. A single swipe of your finger transforms this moisturizing satin color into a true matte finish. Each shade transforms from a moisturizing satin color to a true bold matte. Curated colors for the Clean, Fresh, Modern, Classic Women.Shade: SANDY SUEDE ..
ECRU New York Velvet Air Lipstick - Brick CityA velvet lip color that glides on lips leaving an airy, weightless cushion of long lasting color. A single swipe of your finger transforms this moisturizing satin color into a true matte finish. Each shade transforms from a moisturizing satin color to a true bold matte. Curated colors for the Clean, Fresh, Modern, Classic Women.Shade: BRICK CITY Sa..
ECRU New York Velvet Air Lipstick - Dusty RoseA velvet lip color that glides on lips leaving an airy, weightless cushion of long lasting color. A single swipe of your finger transforms this moisturizing satin color into a true matte finish. Each shade transforms from a moisturizing satin color to a true bold matte. Curated colors for the Clean, Fresh, Modern, Classic Women.Shade: DUSTY ROSE Sat..
ECRU New York Velvet Air Lipstick - Fearless FuschiaA velvet lip color that glides on lips leaving an airy, weightless cushion of long lasting color. A single swipe of your finger transforms this moisturizing satin color into a true matte finish. Each shade transforms from a moisturizing satin color to a true bold matte. 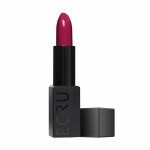 Curated colors for the Clean, Fresh, Modern, Classic Women.Shade: FEARLESS..
ECRU New York Velvet Air Lipstick - Midtown MauveA velvet lip color that glides on lips leaving an airy, weightless cushion of long lasting color. A single swipe of your finger transforms this moisturizing satin color into a true matte finish. Each shade transforms from a moisturizing satin color to a true bold matte. Curated colors for the Clean, Fresh, Modern, Classic Women.Shade: MIDTOWN MAU..
ECRU New York Velvet Air Lipstick - MulberryA velvet lip color that glides on lips leaving an airy, weightless cushion of long lasting color. A single swipe of your finger transforms this moisturizing satin color into a true matte finish. Each shade transforms from a moisturizing satin color to a true bold matte. Curated colors for the Clean, Fresh, Modern, Classic Women.Shade: MULBERRY Satin:..
ECRU New York Velvet Air Lipstick - PlumberryA velvet lip color that glides on lips leaving an airy, weightless cushion of long lasting color. A single swipe of your finger transforms this moisturizing satin color into a true matte finish. Each shade transforms from a moisturizing satin color to a true bold matte. Curated colors for the Clean, Fresh, Modern, Classic Women.Shade: PLUMBERRY Sati..
ECRU New York Velvet Air Lipstick - Red VelvetA velvet lip color that glides on lips leaving an airy, weightless cushion of long lasting color. A single swipe of your finger transforms this moisturizing satin color into a true matte finish. Each shade transforms from a moisturizing satin color to a true bold matte. Curated colors for the Clean, Fresh, Modern, Classic Women.Shade: RED VELVET S..
ECRU New York Velvet Air Lipstick - Sandy SuedeA velvet lip color that glides on lips leaving an airy, weightless cushion of long lasting color. A single swipe of your finger transforms this moisturizing satin color into a true matte finish. Each shade transforms from a moisturizing satin color to a true bold matte. Curated colors for the Clean, Fresh, Modern, Classic Women.Shade: SANDY SUEDE ..
ECRU New York Velvet Air Lipstick - Sultry CoralA velvet lip color that glides on lips leaving an airy, weightless cushion of long lasting color. A single swipe of your finger transforms this moisturizing satin color into a true matte finish. Each shade transforms from a moisturizing satin color to a true bold matte. 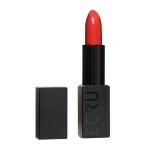 Curated colors for the Clean, Fresh, Modern, Classic Women.Shade: SULTRY CORAL..